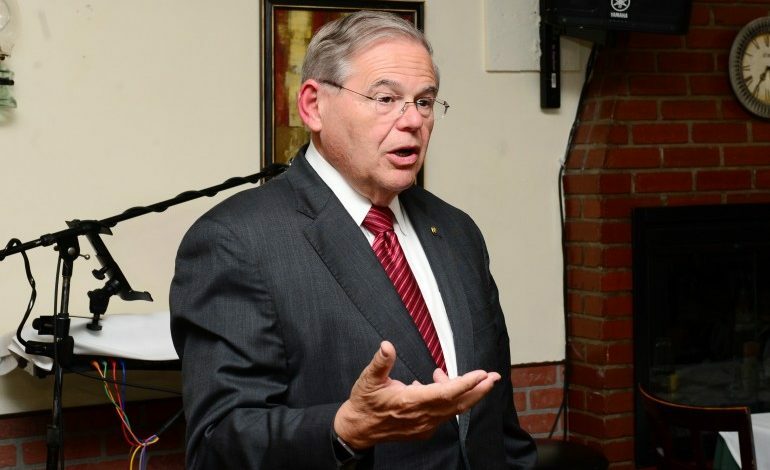 A bipartisan bill seeking to lift the arms embargo to Cyprus, which has been in place since 1987 was introduced by Democrat Senator Bob Menendez of New Jersey, Ranking Member of the Senate Foreign Relations Committee, and Republican Senator Marco Rubio of Florida. Impede the transfer of F-35 aircraft to Turkey, as long as Turkey continues with plans to purchase the S-400 air defense system from the Russian Federation, a purchase that would be sanctionable under U.S. law. “The Eastern Mediterranean Security and Energy Partnership Act of 2019 would allow the US to fully support the trilateral partnership of Israel, Greece, and Cyprus through energy and defense cooperation initiatives – including by lifting the embargo on arms transfers to the Republic of Cyprus,” the press release reads. It continues noting that it is in the interest of the United States to continue to support United Nations-facilitated efforts toward a comprehensive solution to the division of Cyprus; and for the Republic of Cyprus to join NATO’s Partnership for Peace program. “The restrictions shall remain in effect until “the Government of Turkey formally renounces and rejects the purchase of S–400 anti-aircraft system, or any similar system, from the Russian Federation; and no elements of the S–400 or similar system are located within the territory of Turkey,” it reads. In the meantime, the Hellenic American Leadership Council (HALC) and the American Jewish Committee (AJC) have welcomed the development. “Today’s Mediterranean is reclaiming much of its historic importance,” said on his part Endy Zemenides, Executive Director of HALC. US Senator Robert Menendez of New Jersey, will be visiting Cyprus and Greece from April 15-24. CNA has learned that Menendez will arrive to Cyprus on April 15 in the afternoon. Despite the fact that his visit will be private, he is expected to hold meetings on April 16 with the President of the Republic Nicos Anastasiades and with the Minister of Foreign Affairs Nikos Christodoulides. 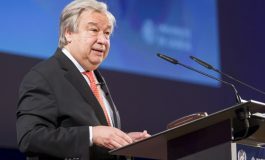 He will surely discuss with the President about the lifting of the US arms embargo on Cyprus, the Cyprus problem and issues regarding the Cyprus-US relations, a source has told CNA, stressing the importance of Menendez`s stance towards Cyprus. In Athens he is expected to meet with Prime Minister Tsipras as well as senior government and main opposition leader Kyriakos Mitsotakis.